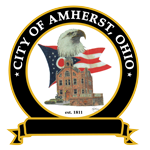 The Treasurer’s Office is responsible for depositing , reporting and investing all City funds. The Treasurer is the administrator of the Income Tax Department. Visa, Master Card, and Discover Card are accepted for income tax payments, pool passes, shelter rentals, and building permits. Credit card payments are subject to a third party processing fee of 2.45%. You must come into the office at 480 Park Ave to make credit card transactions for the pool, shelter rentals and building permits. Income tax and utility payments can be made online.